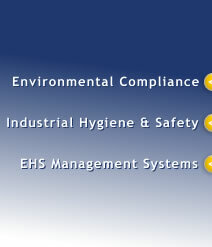 Alliance Consulting International is a professional services firm providing expertise in environmental and occupational health & safety to U.S. and international clients. Building long-term relationships based on reliability, trust and personal service is our trademark. Alliance's clients include industrial, commercial, service and governmental organizations in the United States, Canada, Mexico, Central America, the Caribbean, and Southeast Asia. Our international experience and knowledge of both U.S. and international regulations, cultures and business practices have been particularly helpful to clients engaged in international projects.